ANNAPOLIS, MD — Animal rescue groups and shelters celebrated Tuesday as Maryland Gov. Larry Hogan signed a law that bans the sale of puppy mill dogs in pet stores. Dogs and owners celebrated at the Statehouse, while owners of the few remaining pet stores affected criticized the law. The law prohibits retail pet stores from offering for sale, transferring, or disposing of cats or dogs; repeals certain provisions of law that authorize the sale of certain cats and dogs and sets forth the requirements for a retail pet store that offers to sell certain cats or dogs under certain circumstances; stating the intent of the General Assembly that animal welfare organizations initiate contact with retail pet stores to facilitate the showcasing of dogs and cats for adoption or for purchase from local breeders; etc. The ban wasn't the only pet-related bill signed into law by Hogan on Tuesday. He also signed SB 675, the Humane Adoption of Companion Animals Used in Research Act of 2018, which forces research laboratories to release dogs and cats that are no longer needed for testing to rescue groups so the animals can be adopted. Beagles, which are often used for lab testing because of their docile nature, were among the dogs that joined Hogan at the bill signing, according to the Rescue + Freedom Project, previously known as the Beagle Freedom Project. Attn Maryland! HB 1662 bans the sale of cats and dogs in pet stores and requires those stores to work with shelters and rescue groups to adopt out animals instead. The bill has passed the MD House of Delegates with overwhelming support and now goes to the Senate. Please call your State Senator's office this week and ask your Senator to support HB 1662. To find your State Senator, visit http://mgaleg.maryland.gov/webmga/frmmain.aspx… and select "who represents me" on the right. The call is easy - just give your name and where you live - and that you are a VOTING constituent - and ask that the Senator vote in favor of HB 1662, the No More Puppy-and Kitty-Mills Act. That's it! The staffer will record your support and inform the Senator. Download Flyer to print and share with your family, neighbors, and friends. 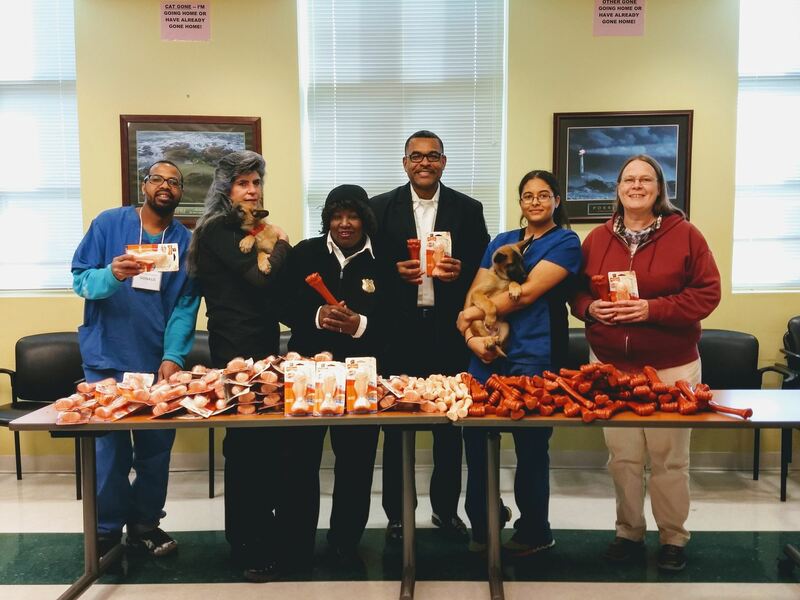 Cause for Paws Cares, Inc. donated a couple of hundred Nyla bones to the shelter same day as the comforters. 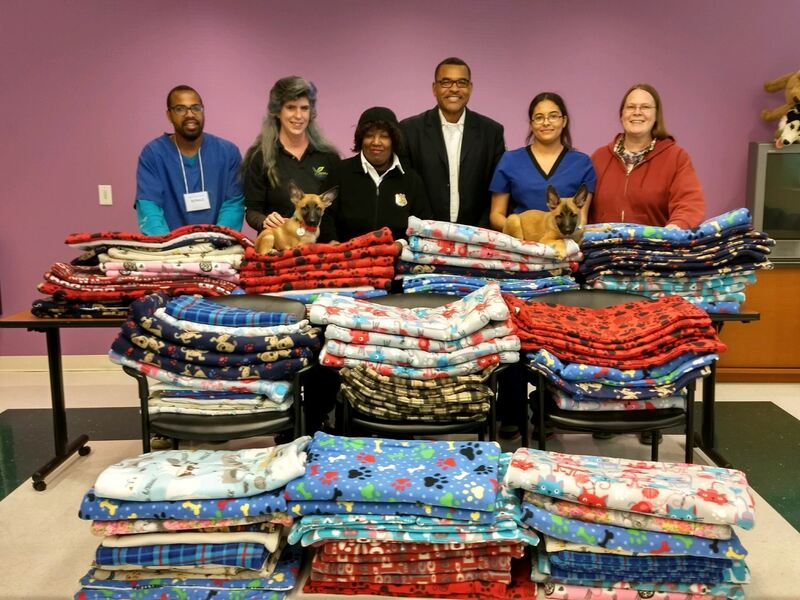 Presentation of the kennel comforters at Prince George's County Shelter this past Friday. We counted 114 that were presented. The people in the picture from left to right are Donald, V Cleveland (groomer , evaluator), Assistant Deputy Chief Terri Littlejohn, Deputy Chief Rodney Taylor, Animal caretaker Marie Windsor and cause for Paws board member Barbara Lewis. The Comforter Project needs volunteer sewers and the month to sign up is December of each year for January sewing. Today is the official half way point in the 2018 legislative session. We have hearings on the majority of our legislative priorities starting next week. We need additional help moving the Elephant Performing Acts bill out of the Judiciary Committee! We've heard intel that the committee is not going to bring the bill up for a vote. Please complete the alert and call your delegates in support of HB 618. It's also appropriate to let the committee leadership know that you want this bill to come up for a vote and get a favorable report. You can find contact info for the Chair and Vice Chair on the committee website. If Chairman Vallario or Vice Chair Dumais are your delegates, PLEASE contact them ASAP in support of the bill. You can find out who represents you at http://mdelect.net. Under current county law, if you take a stray cat to animal control, and it is deemed feral, it will be euthanized. Some communities have community cats which are fed, cared for, and spayed or neutered so they cannot reproduce. If a cat in your community has the tip of its ear snipped, it means that it has been spayed or neutered. Even still, animal control under current county code must euthanize the cat if it is deemed feral. I have a bill in that allows the cats to remain in the communities and even offers communities the opportunity to take the cat back if they have it spayed or neutered at the cost of the members of the community caring for the cat. The cats being released back will also be given a rabies shot. 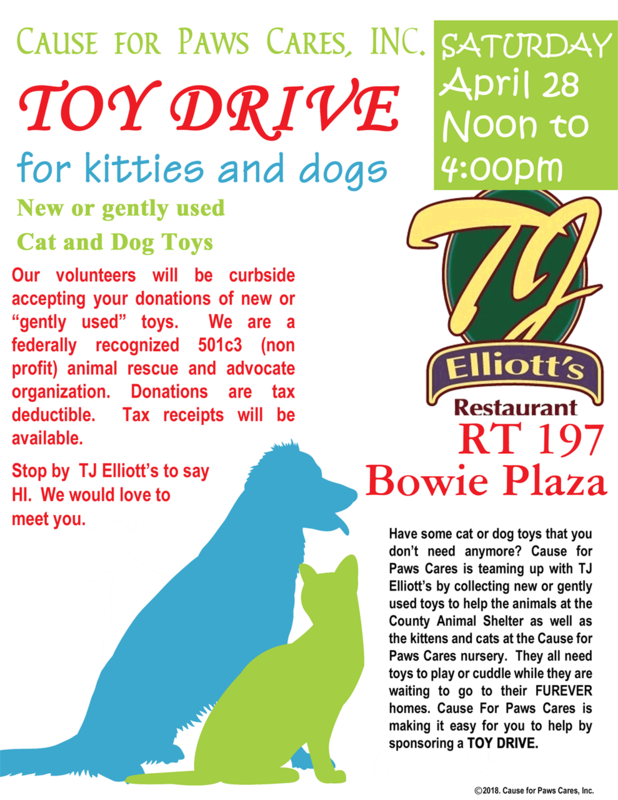 DO YOU KNOW THE BENEFITS OF CATS IN YOUR COMMUNITY? 1. They keep rat and mice populations under control without creating a misbalance in the ecosystem. 2. They reduce the spread of disease. 3. An established, stable, sterilized, and vaccinated colony of feral cats will deter other stray and feral cats from moving into the area. This decreases the risk that residents will encounter an unvaccinated cat, and will virtually eliminate problem behaviors like fighting, spraying, and yowling. Cats vaccinated against rabies also create a buffer zone between wildlife and the public, which greatly reduces the risk of contracting the disease. Come on out and support my bill for the love of the chum chums! The definition of animal cruelty includes not providing proper shelter, weather protection, proper air and proper space; and aggravated animal cruelty involves beating, mutilating, torturing and killing an animal. Retail pet stores will be required to post inspection reports on or near cages if the animals are from a breeder. People with at least six unspayed femaled animals used for breeding will be required to have a kennel license. Previously, the number was 15 or more, or if the person sells six or more litters a year. The maximum amount allowed in damages for someone who causes injury or death to a pet has increased from $7,500 to $10,000. Part of our outreach is to Seniors with pets. We offer assistance in the form of food donations, we can transport the Senior and pet to the vet. We even recently helped a senior find a permanent home for her pet when she moved into assisted living by telephoning our contacts and sending out an email blast. Consider donating to us and consider volunteering with us. We have a lot of jobs to be done.